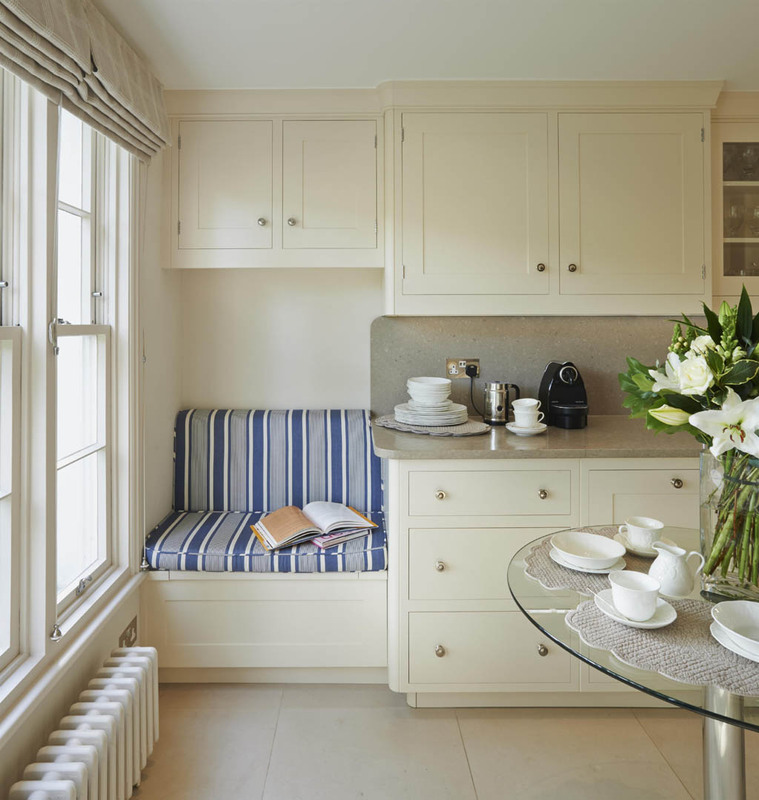 This upholstered bench seat in the classic Brompton kitchen compliments the feature sash window and offers a practical and stylish seating solution. 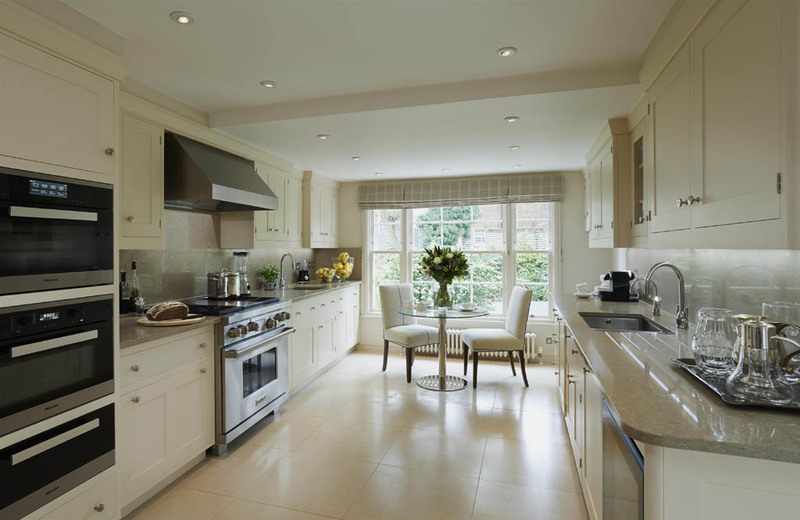 The beautiful kitchen certainly makes the most of the natural light by using an elegant cream on the cabinets which is paired with a classic Caesarstone countertop and splashback. McCarron & Co design luxury bespoke furniture for every room in the home, and we would welcome the opportunity to show you some of the wonderful projects we have been involved in so by all means pop into one of our three showrooms in Chelsea, Notting Hill or Wiltshire and see one of our beautiful bespoke furniture designers.